With cupping local suction is created on the acupuncture points. 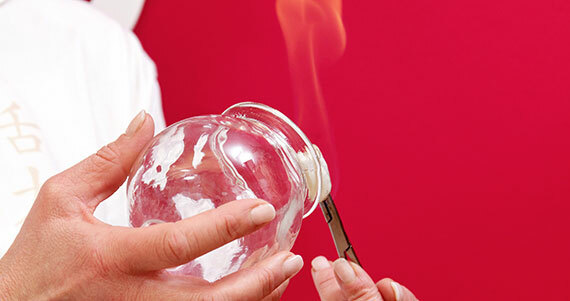 A ball of burning cotton wool soaked in alcohol is placed in a cup and placed on the point to be treated. For treatment of tension I move with the cup over the tense muscles in order to relax them. You can read about how I use cupping in my daily work and the achieved success in each treatment in my blog.